He’s exaggerating, but not by much. Some foundations don’t disclose their donors. All are required by law to report on their grants, but many are slow to do so. Finally, there’s scant information about the most important question of all: How effective are foundations when they spend their money? Foundations would do well to become radically more transparent and accountable, not merely for their own sake, but to set an example for the nonprofits they fund. 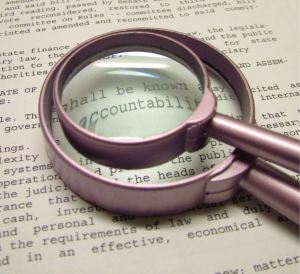 After all, if foundations, with their influence, deep pockets and professional staff, don’t demand more transparency and accountability from nonprofits, who will? They are key to unlocking the immense potential of the nonprofit sector. ← Who’s Getting Grants From This New Fund For Collective Impact in K-12?